Update: Google has given up on Google+ apparently it was hacked and has done more harm than good. Perhaps that can be said for social media in general or even electronic communication. I’m still trying to recover from an email I sent in March of 2005. 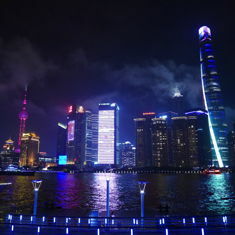 I spent Christmas Day 2018 or at least the evening in Shanghai China editing old HTML and removing all the Google+ integration I had added to this website and others including the technique detailed below which had stopped working long ago anyway. Muschamp.ca does not perform well in Google anymore and the problem is probably lack of HTTPS and a general lack of promotion/updates. I focussed so much effort on the CFA Exams and I got so little to show for that effort. That can be said for everything I’ve done the last 14 years or so, you can read all about it if you dig on this website. So what use is was Google+? Guy Kawasaki likes it the best, of course he liked Twitbird the best of all Twitter clients and we’ve seen how that worked out for me. The reason to use Google+ is because Google is still the most popular search engine. Google+ is not going anywhere because Facebook is a real threat to Google’s search engine dominance and they definitely take money away from AdWords which is Google’s cash cow. The company I currently work for spends more money on Facebook advertising than AdWords but that could change. Choosing which websites and online social networks to spend your time and marketing dollars on is a question facing many. I don’t plan on abandoning Twitter for Google+ and I certainly don’t see all my friends and family leaving Facebook for Google+, the network effect is very much against Google+. However I have spent considerable time today making my website more Google friendly, not exclusively for SEO purposes, but apparently there are benefits to claiming “Authorship” over the articles and websites you publish online. Update: the Google Authorship rich snippet is being officially phased out, SEO is an ever changing game, schema.org seems to be the horse Google is backing now. I know I wrote pretty much everything on Muschamp.ca, most people know I wrote pretty much everything on Muschamp.ca but today I had to prove both “authorship” and that I was webmaster for Muschamp.ca and most importantly all the subdomains on Muschamp.ca. Now “rich snippets” should be shown in Google search results possibly making my website more attractive to web surfers and possibly building my personal brand. As the official webmaster in Google’s eyes of Muschamp.ca and all the subdomains I get even more Google Analytics to amaze and astound. Maybe I’ll even stop using Mint. To convince Google of all this I had to jump through many hoops. I had to upload files to my domain and subdomains. I had to modify my Google+ profile and pretty much every HTML page on the domain. I also added yet more plugins to my WordPress install specifically Yoast’s Google Analytics plugin and Google-Author-Link. I also modified my theme to be more Google authorship friendly. Everything seems to be working, but I may have to fix a few more things and optimize my Google+ profile. I may regret some of my dubious posts and may remove yet more of them. Here are two screenshots showing a test “rich snippet” and where you claim “authorship” of a domain or subdomain or App in Google+. Here is a screenshot of my improved Google Analytics. This entry was originaly posted on June 29th, 2013 , it was last edited on December 25th, 2018 and is filed under: Marketing and tagged: Google, Google Analytics, Metadata, Online Social Networks, SEO.